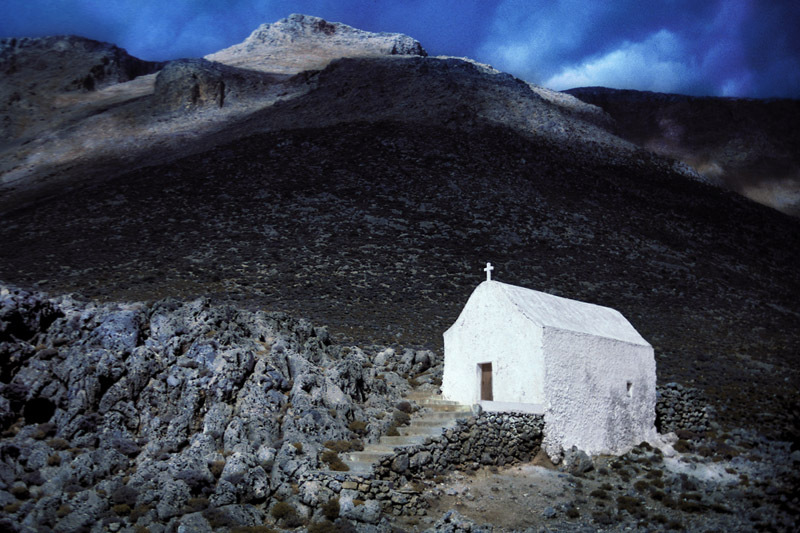 Built on the rocky slopes this Greek chapel stands along the footpath from Loutro to Glyka Nera Beach. Island of Crete. Greece.